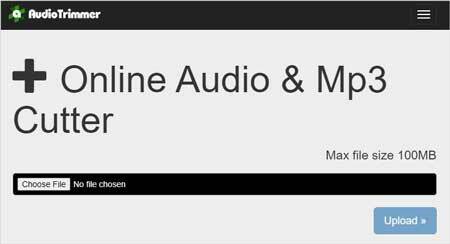 How to Cut Audio Files Online and Offline? Solved! Sometimes, we need to cut a song and create a ringtone for the phone. Or we find a piece of pleasant music and want to keep the most important part to share with friends. At this time, what we need is a useful audio cutting tool online or offline. Then how to cut audio files quickly and easily? Here are 3 best solutions for your reference. First, browser to the right official site of Audio Trimmer. Choose an audio file you would like to cut from your computer’s local hard drive disk, and click the "Upload" button to import it. Note that your audio file size cannot exceed 100MB. Then move the slider to choose the part you want to crop. You can also add fade in or fade out to your music. Select the output format such as MP3 or M4R for iPhone as you like. After all is done, press the "Crop" button. After a few seconds, you’re allowed to download the trimmed audio file by click the "Download" button. Your new music will be saved on the hard drive of the computer. 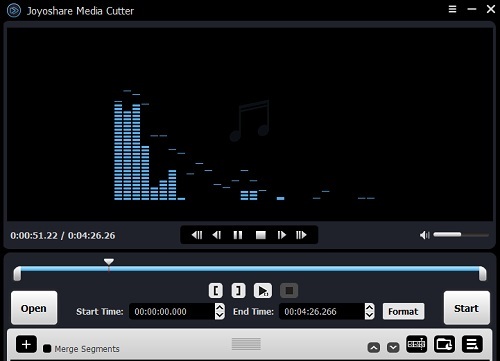 Cut audio files online with Audio Trimmer is a straightforward method, but in case you have a large size of audio clip needs to be cropped, or your Internet connectivity is not good enough to cut a complete music file, what would you do? 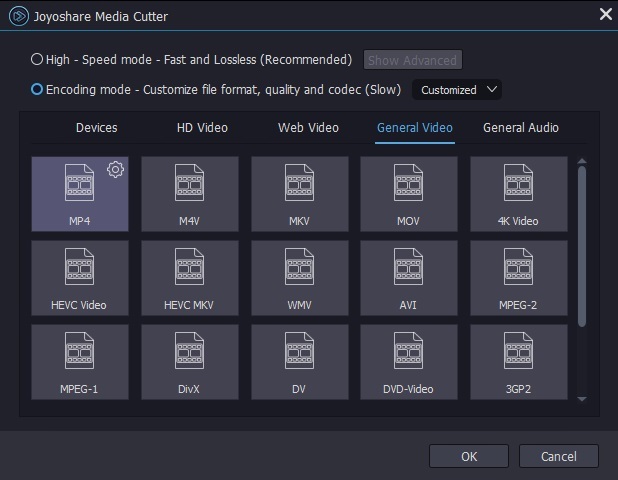 Of course, you can turn to cut and edit your audio track by using a stable and professional audio cutter program offline such as Joyoshare Media Cutter. 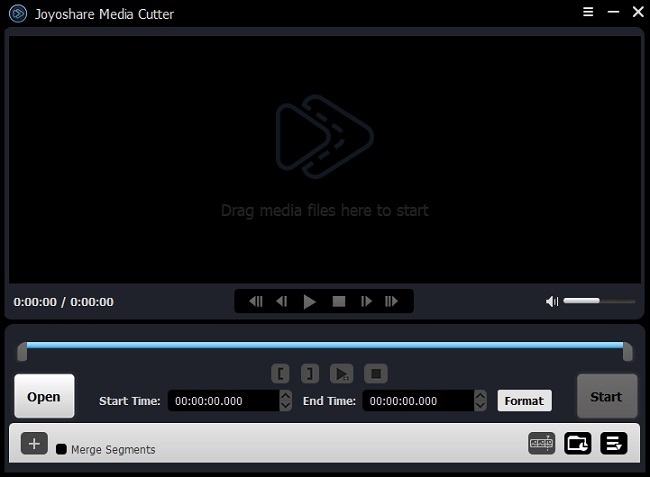 Joyoshare Media Cutter for Windows (or Joyoshare Media Cutter for Mac) is a professional yet easy-to-use video and audio cutter, joiner and editor. It allows you to split any audio into pieces, slice off the unwanted parts, merge the audio clips together, and edit the audio file as you wish. Additionally, the program also supports lots of audio file formats and devices, such as M4A, M4B, M4P, M4R, WMA, AAC, MP3, MP2, MPA, AC3, MKA, OGG, AIFF, WAV, APE, FLAC, RA, RAM, AA, AAX, etc. and iPad, iPhone, Android Generic, Xbox, smart TVs and many more. Next let’s see how to trim audio with the simplest Joyoshare Audio Cutter. First of all, remember to download and install Joyoshare Media Cutter in your computer, and then run the program. Click the "Open" button to import your target music file, or simple drag the file and then drop it to Joyoshare. Click and drag the handles to select the part you want to trim, or accurately set the temporal interval in millisecond-level precision. You’re also permitted to add more audio clips to trim and edit by click the "+" button according to your needs. Now click the "Format" button and choose the mode you desire from "High-speed mode" and "Encoding mode". The former allows for a fast and lossless cutting while the latter enables you change the files formats, codes and devices as you like. When you are ready, press the "Start" button to trim the audio file now. A few seconds later, your trimmed music will be finished and saved on the destination folder in your computer. If you want to join the audio clips together, don’t forget to tick the "Merge Segments" box. 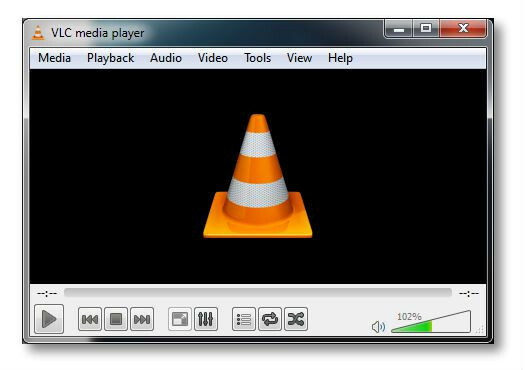 Double click the icon to launch VLC media player. Add the target music file you want to crop. Click on the "View" tab on the top menu of VLC and choose the "Advanced Controls" option from its dropdown menu. The Advanced Controls will be shown as a record icon in red. Now drag the slider to select the start point and click on the red record icon to begin recording. Then click the record icon again to stop the recording. You can get several audio clips by doing the same things repeatedly. All your created audio files are usually saved in the C: User\Your System Name\Music or My music by default.